The weather is cooling down and over the past few weeks kids have been heading back to school. 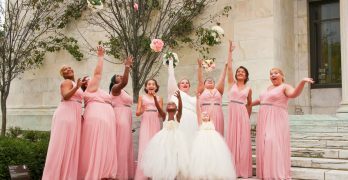 We all know that when it comes to kids, they aren’t quite as germ-conscious as the rest of us, so more often than not, one of the tykes will come home with a little sniffle. Fortunately, Kleenex has a new line of stylish on-the-go products that make it easy to wipe away any sniffles. The Kleenex brand is adding a new line of on-the-go packs with Sneeze Shield this back to school season to make it easy to help keep stuff off kids’ hands in the classroom, on field trips, at home or wherever kids go. Check out the wallet pack, the auto pack, and the new and improved pocket pack. It used to be the case where my version of carrying Kleenex consisted of a plastic baggie or just stuffing tissues into my purse. With the new on-the-go packaging from Kleenex, it is so much easier (and way more stylish) to tote any needed Kleenex. 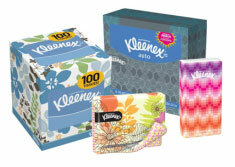 There are three new Kleenex Go packages available. The wallet pack is super cute. It comes in 8 playful designs that are colorful and kid friendly (so they won’t be embarrassed to carry them around.) The wallet pack is thinner than a deck of cards, flips open and closed, and has 10 3-ply tissues inside. It’s the perfect size for sliding into a purse or back pocket. I love the new auto pack as well. Normal sized boxes just don’t have a spot in the car, so the new auto pack is perfect. It’s thin enough to slide into the side door or back seat pocket. It opens from the top so you can just slide any Kleenex out easily. 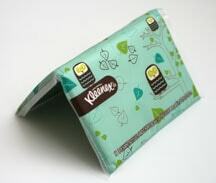 Each Kleenex auto pack contains 24 3-ply tissues with Sneeze Shield. Finally, there is the new and improved pocket pack. This is my go-to purse pack and they’ve improved the pack by introducing 3-ply tissue (instead of 2-ply) for this convenient Kleenex carrier. There are tons of great designs for these portable Kleenex packs. They’re portable and perfect for keeping with you in case of an emergency sneeze. You can find the new Kleenex packs at your local store; make sure you pick up a coupon for savings on your next Kleenex Go Packs purchase. Disclaimer: This post consists of my (and/or fellow tester) opinions only. Your experiences may be different. No compensation was given for this review/giveaway. As part of my association with mom Bloggers Club, I did receive a free product from the manufacturer or their representing PR agency to use and test for the purposes of this review. This did not affect the outcome of this review. I got a free sample a while back and it was great for the minivan. And most Kleenex products have BTFE points.